AirportWatch | Airbus A380 wing cracks: Who’s paying? Customers unhappy. Airbus A380 wing cracks: Who’s paying? Customers unhappy. The wing crack issue that has plagued the Airbus A380 over recent months is going to cost millions of dollars to correct, but who is actually responsible for the repair costs? The cost to Airbus for researching the cracks, developing a fix and implementing the modified design for future wings is currently sitting at more than US$315 million. It takes 8 weeks to fix the cracks if the repairs are completed in one go. Alternatively, airlines can add extra time to the end of each major maintenance check until the fix is completed. 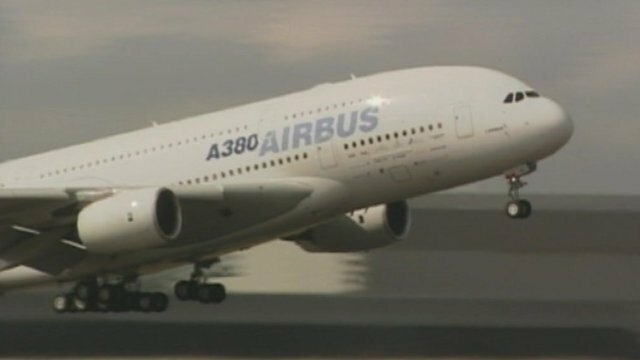 Airbus and the airlines insist the A380 is safe to fly in the meantime. Airbus will not compensate airlines for the time when their planes are being fixed. But the A380 purchase contracts do not include a clause for this scenario. Airbus A380 wing cracks: Who’s paying? The wing crack issue that has plagued the Airbus A380 over recent months is going to cost millions of dollars to correct, but who is actually responsible for the repair costs? The cost to Airbus for researching the cracks, developing a fix and implementing the modified design for future wings is currently sitting at more than US$315 million. To implement the permanent fix on existing aircraft, Airbus estimates that it will take eight weeks if the repairs are completed in one go. Alternatively, airlines can add extra time to the end of each major maintenance check until the fix is completed. 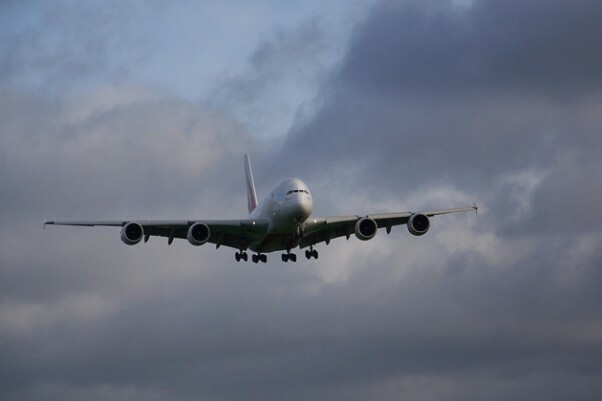 Airbus and the airlines insist the A380 is safe to fly in the meantime. However, there now seems to be a differing opinion on whether or not compensation should be paid to the affected airlines. Airbus says no compensation will be paid, whilst Emirates President Tim Clark feels otherwise. Speaking to Aviation Week at the International Air Transport Association annual general assembly in Beijing this week, Clark said Airbus has told them there would be no compensation, “but we take a different view. Airbus have a legal obligation to fix the aircraft at their expense.” He also conceded, however, that their A380 purchase contracts do not include a clause for this scenario. Emirates is seeing significant financial impacts to its bottom line as interim repair costs continue to grow. Clark estimates that it is costing his airline $30 million per month as aircraft are taken out of service for interim repairs to be carried out. The airline has the largest fleet of A380s in the world with 21 in active service and another 23 due by early 2014. The 23 new aircraft will each have the problematic wings because Airbus won’t begin building planes with a redesigned wing until 2014. So whilst Airbus is taking a financial hit to redesign the wing and everything that goes with it, their airline customers are also seeing huge costs as a result of taking the aircraft out of service. Is it right that Airbus refuses to pay these valuable customers compensation? Will their customers be happy at this decision. I feel we haven’t heard the last of this, not by a long chalk. Airbus will have to retrofit 120 A380s to resolve a problem with wing component cracking before a permanent fix will be implemented on new-build aircraft. The aircraft maker has already delivered 74 A380s, but the total number in need of retrofit will grow to 120 aircraft because of work already in the production system, says Tom Williams, Airbus’s executive VP-programs. Airbus A380 operators face a 30,000 man-hour repair programme to address wing-crack issues that have dogged the airliner which will require an eight-week downtime if implemented in one instalment. The European airframer confirms that if airlines choose to undertake the repair “nose-to-tail” it will require around eight weeks to implement. However Airbus says that it expects most operators would opt to adopt the phased approach spread out over three two-year heavy checks which is less disruptive. In this case, it expects the repair would extend each two-to-three week heavy check by “a few days”. Emirates, which is the biggest A380 operator with 21 in service, is undertaking the repair to each aircraft in one instalment. It says the work will require 30,000 man-hours to implement. The Emirates fleet will be repaired in Airbus facilities or by other organisations on Airbus’s behalf because the Dubai carrier does not have the capacity to undertake the work in house. A380s featuring the recently-introduced revised wing design incorporating more twist and a lighter structure will need to be modified slightly earlier as the wing-crack issue has “a slightly greater effect” on these wings. The retrofit modification will be subject to an airworthiness directive from the European Aviation Safety Agency, which Airbus expects to be issued this summer. It will be available for retrofit in the first quarter of next year. A modification for new-build aircraft will become available for incorporation on the wing production line at the end of this year. There is an approximately 10-month lead-time on the wing, meaning that this will apply to A380s delivered from early 2014. Airbus says that it expects that most A380 operators receiving new A380s in 2013 will opt to have their wings repaired during final assembly, resulting in a four-to-six week delay. However some airlines with a more urgent need for their aircraft will decide to have the work carried out retrospectively, it adds. Posted: Saturday, June 16th, 2012. Filed in General News, Recent News.